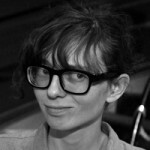 D&S Artist-in-Residence Ingrid Burrington presented her work analyzing the infrastructure of the internet at The Conference. Internet is more than just what you interact with online. With miles of fiber lines and future ways of providing wireless connection, the major online companies are moving beyond tech into infrastructure while we are losing access. Artist and writer Ingrid Burrington brings up the question on how we can use the infrastructure to take control of our own communication.